The Aircast StabilAir Wrist Brace is a post-operative wrist brace that provides air compression on the wrist and forearm. 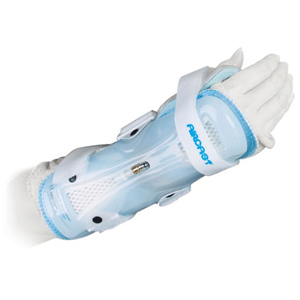 Each aircell is designed to stabilize and protect the wrist and forearm after a distal radius fracture (bone fracture). It is easy to use, adjustable, flexible, and water resistant. 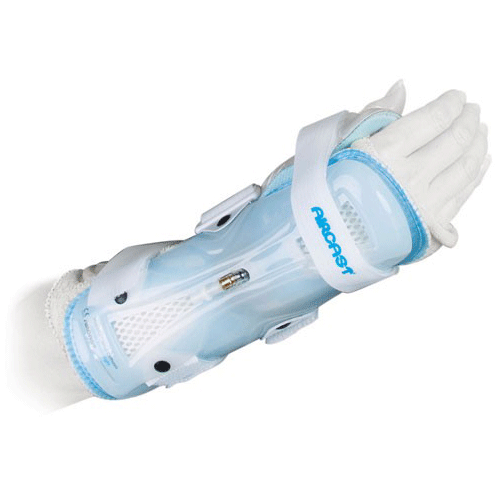 Ideal for post-operative distal radius fractures and other wrist injuries. I used it for my fractured wrist. I could easily move my wrist with the help of this brace. It is lightweight, supportive and protective. It can easily loosen or tighten and gives the relief. Quite comfortable and easy to use. Highly recommended.